My husband has promised to do a visual brand identity design for one lucky winner. What that means is a unique design that reflects the image and brand you want to portray. 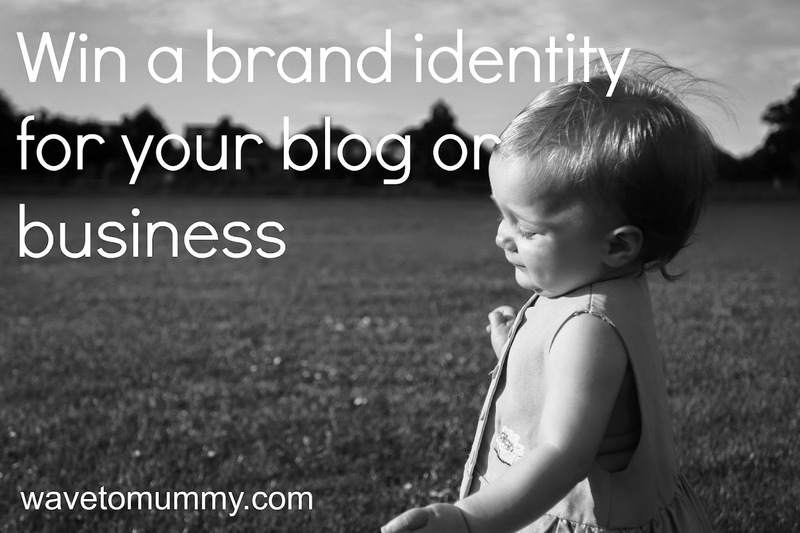 For a blog this includes a logo, a co-ordinating square avatar (for Twitter, Facebook etc. ), a banner (in accordance with the design of your site) and a favicon. For a business this includes a design and supply of a logo in a high-resolution file for print and digital (CMYK and RGB), a co-ordinating avatar (for Twitter, Facebook etc.) and a favicon. 1. You have to fill in a questionnaire, which will help in formulating the basis of the design brief. The questionnaire will ask things such as any preferred colours, designs you like, and so on. 2. You will get two options to choose from - at this stage you can ask for revisions, such as colour, or minor changes in the design. 3. You will receive the design files, and you can use them as you wish. 5. You will be responsible for all installation of the files on your web/blog platform. 6. Whilst we will make every attempt to deliver the design to you as fast as we can, good design does take a lot of thinking time and will be done alongside normal work. In other words, it will take a while. 7. Check out my blog banner which is typical of the design style of my husband - if you like it, I am sure you would like his design for you as well. P.P.S And just to make things crystal clear - this giveaway is of a visual brand identity, which means the visual look of the brand and the overall communication, such as a logo. Not a web design. So if you were McDonald's you'd get the golden arches, but your website design would be up to you to manage. Brilliant giveaway! Thanks to your husband for a fab prize. I have just entered because I think my blog design is looking a little tired and possibly old-fashioned compared to a lot of the blogs I read. I have entered this amazing giveaway, I am new to blogging starting in November and finding my feet so this would be a great addition to my blog especially as I have no idea where to start! What a great win for somebody to start 2015 with. Good luck everyone! I've been thinking about getting someone to design something for me as I've only been blogging for about a month, what a great idea! Thank you so much for this opportunity to enter.